In this tutorial, you'll learn how the content you see in the browser actually gets rendered and how to go about scraping it when necessary. 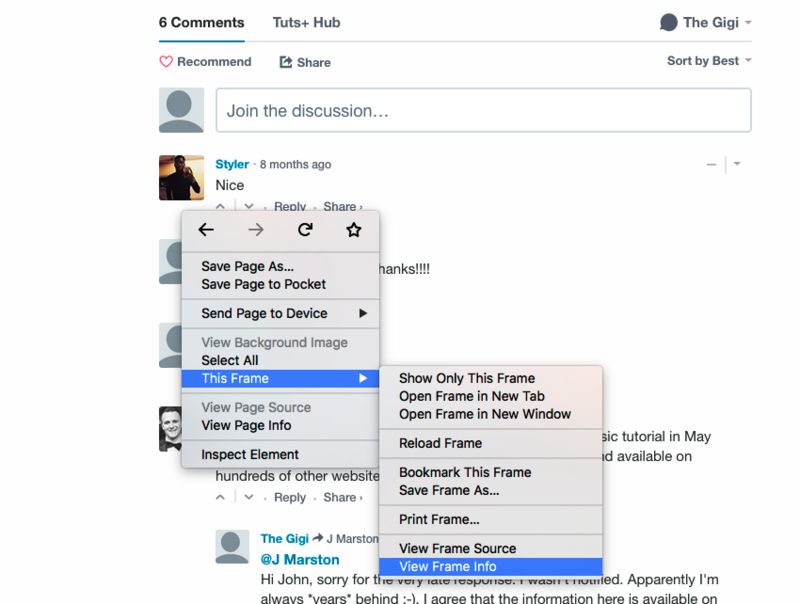 In particular, you'll learn how to count Disqus comments. Our tools will be Python and awesome packages like requests, BeautifulSoup, and Selenium. When Should You Use Web Scraping? It is fragile (the web pages you're scraping might change frequently). It might be forbidden (some web apps have policies against scraping). It might be slow and expansive (if you need to fetch and wade through a lot of noise). In order to scrape these comments, we need to find them on the page first. This looks pretty messy, but what is surprising is that you will not find the Disqus comments in the source of the page. That makes sense. Embedding third-party content as an iframe is one of the primary reasons to use iframes. Let's find the <iframe> tag then in the main page source. Foiled again! There is no <iframe> tag in the main page source. Let's see how static scraping works using two awesome Python packages: requests for fetching web pages and BeautifulSoup for parsing HTML pages. This will create a virtual environment for you too. If you're using the code from gitlab, you can just pipenv install. If everything is OK then r.content will contain the requested web page (same as view page source). The get_page() function below fetches a web page by URL, decodes it to UTF-8, and parses it into a BeautifulSoup object using the HTML parser. Once we have a BeautifulSoup object, we can start extracting information from the page. BeautifulSoup provides many find functions to locate elements inside the page and drill down deep nested elements. Selenium is primarily geared towards automated testing of web applications, but it is great as a general-purpose browser automation tool. Selenium needs a web driver (the browser it automates). For web scraping, it usually doesn't matter which driver you choose. I prefer the Chrome driver. Follow the instructions in this Selenium guide. In some cases you may prefer to use a headless browser, which means no UI is displayed. Theoretically, PhantomJS is just another web driver. But, in practice, people reported incompatibility issues where Selenium works properly with Chrome or Firefox and sometimes fails with PhantomJS. I prefer to remove this variable from the equation and use an actual browser web driver. 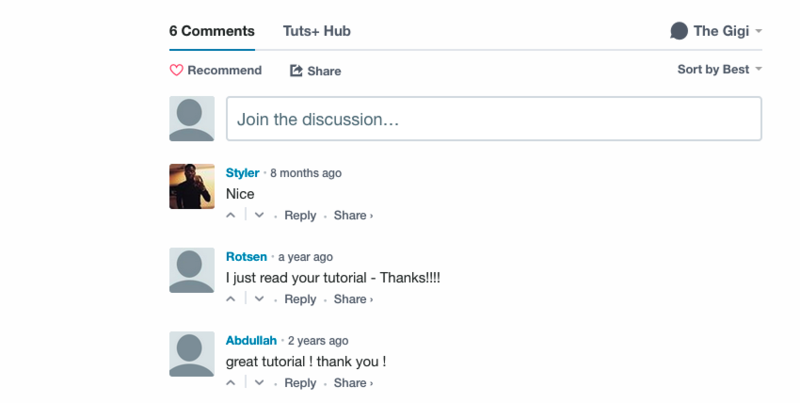 Let's do some dynamic scraping and use Selenium to count Disqus comments on Tuts+ tutorials. Here are the necessary imports. The get_comment_count() function accepts a Selenium driver and URL. It uses the get() method of the driver to fetch the URL. This is similar to requests.get(), but the difference is that the driver object manages a live representation of the DOM. The next step is to fetch the contents of the iframe itself. Note that we wait for the comment-count element to be present because the comments are loaded dynamically and not necessarily available yet. The last part is to return the last comment if it wasn't made by me. The idea is to detect comments I haven't responded to yet. Web scraping is a useful practice when the information you need is accessible through a web application that doesn't provide an appropriate API. It takes some non-trivial work to extract data from modern web applications, but mature and well-designed tools like requests, BeautifulSoup, and Selenium make it worthwhile. Additionally, don’t hesitate to see what we have available for sale and for study in the Envato Market, and don't hesitate to ask any questions and provide your valuable feedback using the feed below.